Kapil Sharma interacts with Ranbir Kapoor and Anushka Sharma as they visit The Kapil Sharma Show to promote their film Ae Dil Hai Mushkil. 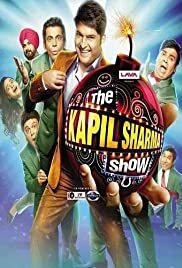 Aishwarya Rai Bachchan, Ranbir Kapoor and Anushka Sharma come to Kapil's show to promote their upcoming film "Ae Dil Hai Mushkil"
Simmba (2018) promotion continues on The Kapil Sharma Show with Ranveer Singh, Sara Ali Khan, Rohit Shetty and Sonu Sood. The story revolves around how different people in the family adjust to the magical powers of naani and her daughters, who use their magical powers for their needs. My favorite show also World famous comedy show.Kapil is my favourite comedian. He is world class. I also like Sunil..